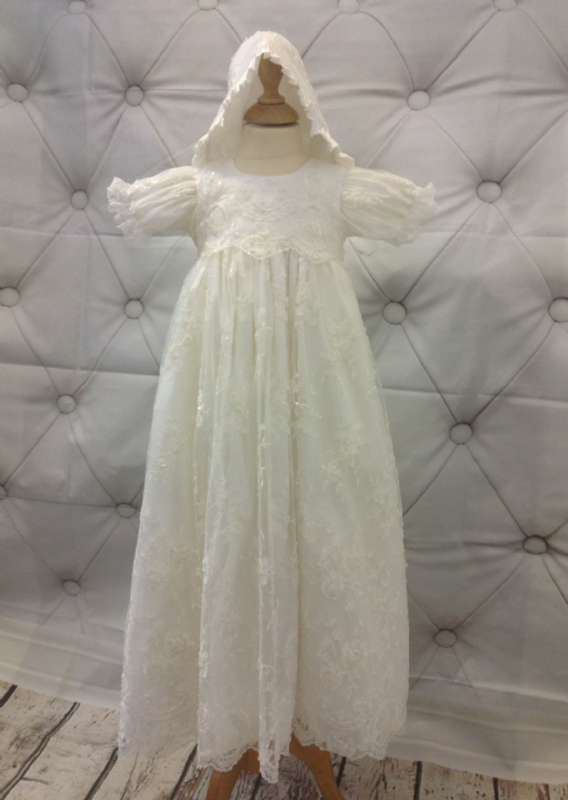 Luxury full lace christening gown lined in 100% natural silk. The lace used to make this gown is exquisite, and the silk that lines the lace makes it perfect to be kept as an heirloom gown. 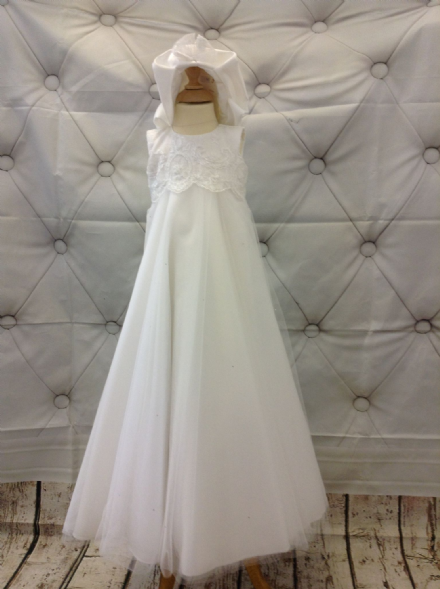 This gown is so luxurious it would be suitable for royalty!! 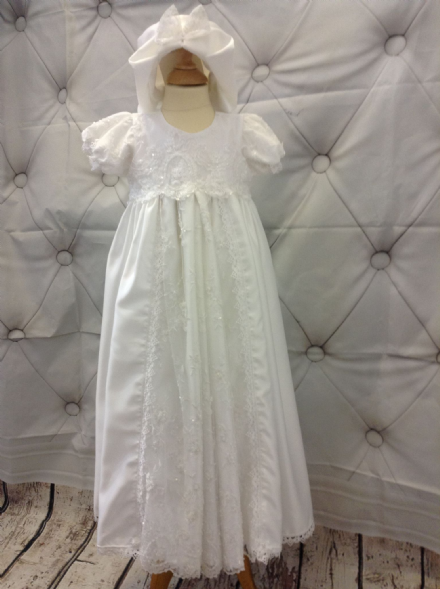 Under the silk, this gown is also fully lined in polycotton, including petticoat under the skirt. . The lining is soft and cool against baby's skin. There is a zip fastening to the back, making it easy to put on and take off. The gown comes complete with a matching hat.